Mount Everest heads a final field of seven declared runners for the Group 2 Beresford Stakes and will be the mount of leading jockey Ryan Moore at Naas this Sunday. Mount Everest’s trainer Aidan O’Brien is responsible for three of the seven-strong field with Japan and Sovereign also declared. Ger Lyons is represented by debut winner Pythion, while Jim Bolger has declared Guaranteed in a bid to win the Beresford Stakes for a first time. Adrian Keatley’s Machqeez is the only maiden in the line-up with his fellow Curragh-based trainer Michael O’Callaghan hopeful of a big run from his course and distance winner Power Of Now. Power Of Now returns to Naas where he won on his third career start earlier this month and O’Callaghan believes that his charge has improved from his latest outing. “Power Of Now has come out of his win at Naas very well and we are really looking forward to running him on Sunday,” reported O’Callaghan on Friday morning. “He probably went into that run at Naas needing a bit of work as he had a little break after Galway and looking at him the other morning I thought he had improved again since Naas so we are very hopeful of a good run. “He is proven over the course and distance and the ground is back in his favour as we feel he wants nice ground. I thought all year that he would be purely an autumn horse. We did very little with him before he went to Leopardstown and that showed as he was green that day. He had a wide run around Galway and the ground was yielding that day so I’d strike a line through that run and even though there was a bit of drama when he won at Naas I thought he won with a bit in hand that day. There’s still plenty of improvement to come and he’s a horse with a lot of scope. 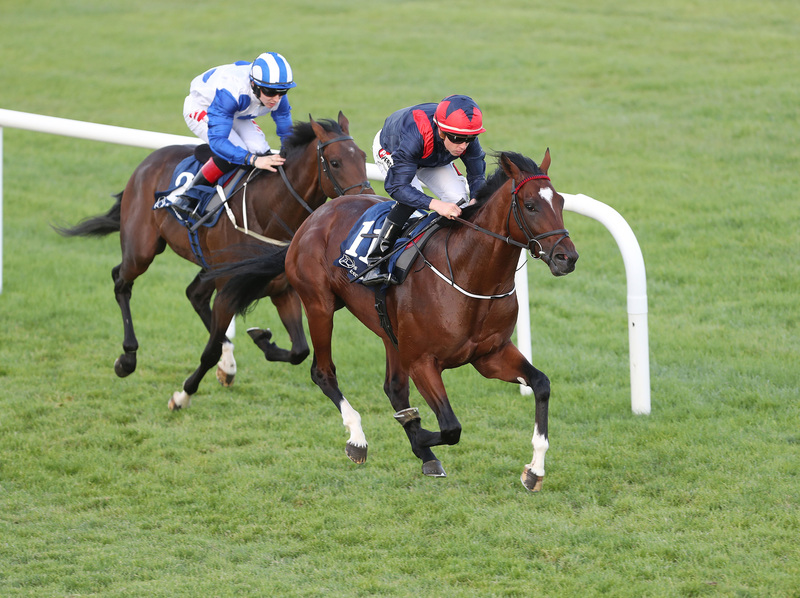 We really like him and fingers crossed he’ll run well.” The unbeaten Falcon Eight will attempt to bring up his hat-trick in the Group 3 Loughbrown Stakes for trainer Dermot Weld. A high class field for the two-mile contest also features Renneti and Twilight Payment. The Sir Mark Prescott-trained Brassica and the Mick Channon-trained Chynna bring a strong British representation to the Group 3 Weld Park Stakes which also features the highly rated Hermosa, trained by Aidan O’Brien and Foxtrot Liv, trained by Paddy Twomey. 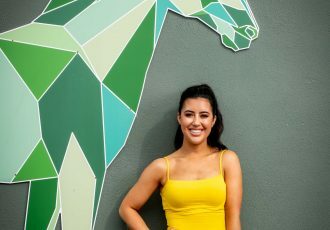 “This is going to be another step up in class for her but she’s progressed with every run and hopefully she’ll give another good account of herself on Sunday,” Twomey said earlier in the week. Gordon Lord Byron makes a quick reappearance in the Group 3 Renaissance Stakes where Tom Hogan’s stable star will face six rivals. The opposition for the globe-trotting ten-year-old include Karl Burke’s talented colt Unfortunately. Tom Ryan, racecourse manager at Naas, said, “We were delighted to be in a position to host the Beresford Stakes last season and again this year and we’re very happy with the declarations for Sunday's meeting here. “We've got a lovely mix on the card with some very nice two-year-olds declared and some more seasoned older horses. We couldn't be happier the with the ground, which we are calling good, good to firm in places, and we are really looking forward to a big day on our calendar. Last year the Beresford Stakes produced a very impressive winner in Saxon Warrior and we are hoping that we might see another future Classic winner here at Naas again on Sunday.” The Beresford Stakes is included in the Road to the Kentucky Derby which will see the winner of Sunday’s race earn points towards a possible starting position in the Kentucky Derby next year. 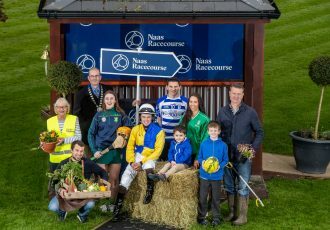 *** Naas Racecourse will also host their family fun day on Sunday and provide a range of free activities for Kids including bouncing castles, face painting, Reptile Zoo and Pony rides. Naas Racecourse also look forward to welcoming the Irish Pony Club for their annual Family Day. Members of the Killinick Harriers will perform a musical ride in the centre track at 2.25pm and the Irish Pony Club Exhibition Race will take place after the last race at 5.50pm. Family Fun entertainment begins at 12:20pm with family admission just €20 online for two adults and Kids go free. A four course meal in the Panoramic Restaurant is €66 per person and the Golden Ticket is just €30 per person which includes admission, €10 food voucher, €5 free bet, €5 drinks voucher and a racecard. To make a booking visit www.naasracecourse.com. Beresford Stakes: Paddy Power odds: 8-11 Mount Everest, 9-2 Japan, 7 Sovereign, 8 Pythion, 10 Power Of Now, 16 Guaranteed, 66 Machqeez For more information contact Sales & Marketing Manager Jackie Donohoe – [email protected].